Trump has gone to his Virginia golf course every weekend in October. President Donald Trump walks out of the North portico of the White House on October 28, 2017 in Washington, D.C. While the White House lawyers scrambled Saturday to figure out as much as they could about the coming charges in the Russia investigation, President Trump’s morning had a familiar ring to it as he put on a baseball cap and went to the Trump National Golf Club in Virginia for the fourth consecutive weekend. That means the commander in chief has spent every single weekend in October at the 800-acre property, where he has not been shy about hitting the links. 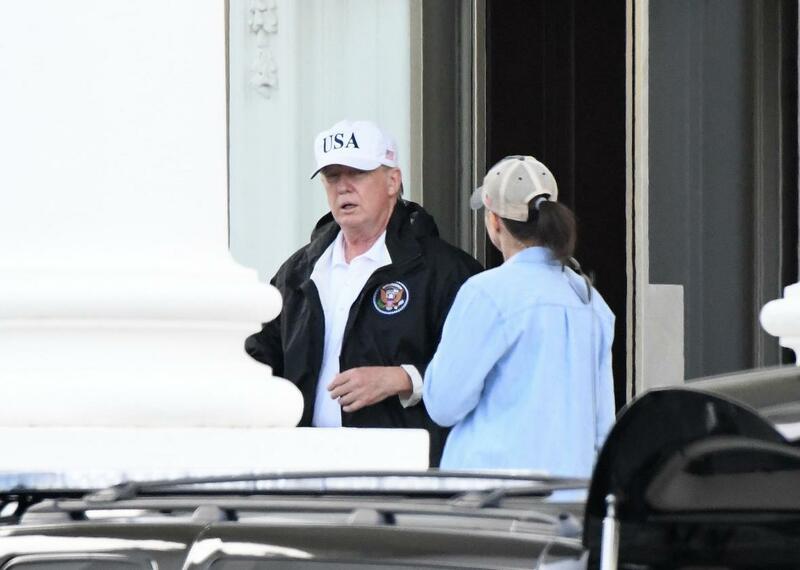 Last weekend, Trump was in his Virginia golf club on both Saturday and Sunday, a week after he visited the club with lawmakers. If Trump planned to use golf as a negotiating tactic with lawmakers, the strategy isn’t quite working. Trump was famously able to build a good rapport with Japanese Prime Minister Shinzo Abe while the two played golf, but that “has worked less well in Washington, where the president hasn’t been able to leverage his nearby golf club into close relationships on Capitol Hill,” reports Politico. Part of the problem is that it’s difficult for Trump to find people “who play at his level” within the chambers of Congress. “He doesn’t enjoy playing with real amateurs. He likes to move around quick. Someone who isn’t great is slower,” Chris Ruddy, the CEO of conservative website Newsmax, said. Overall, Trump has spent 96 out of his 281 days in office in a Trump property. Of that total, 76 days were spent at one of his golf properties, according to NBC’s tracker.